Leafy spurge is native to Europe and Asia. During the early 1800s, it was introduced to North America as an ornamental species and/or a crop seed contaminant. 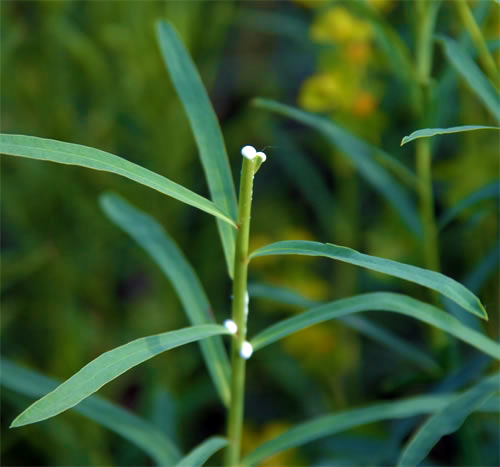 All parts of this plant contain a milky-coloured sap that can poison livestock and cause skin irritations in humans. 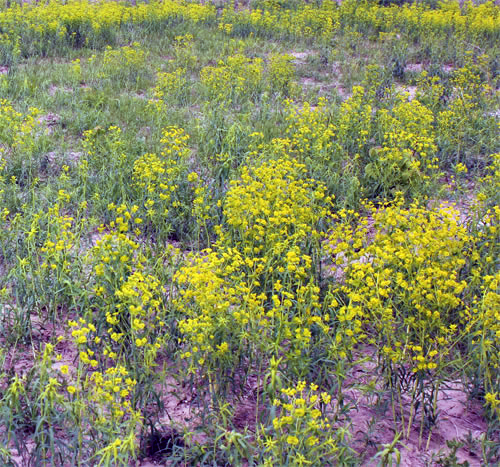 Leafy spurge reduces the biodiversity of native plants by releasing chemicals into the soil that inhibit the growth of nearby plants. 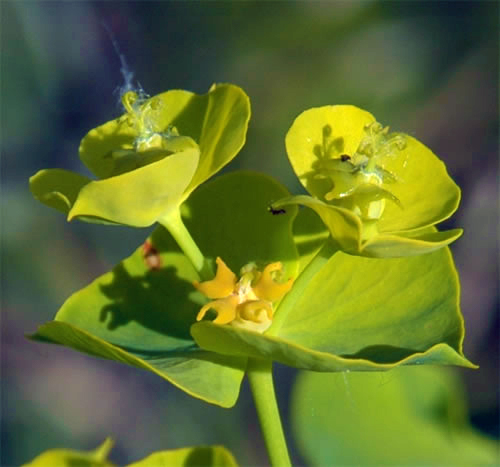 Leafy spurge has green to yellow coloured flowers that have four crescent-shaped glands each. The linear leaves grow up to 5mm wide and are often blue-green in colour. All parts of the plant release a white milky sap when injured. Leafy spurge grows 40-90cm tall and has a creeping root system (rhizomes - specialized stems like roots). Roots can extend 4.5m laterally and go 9m deep. 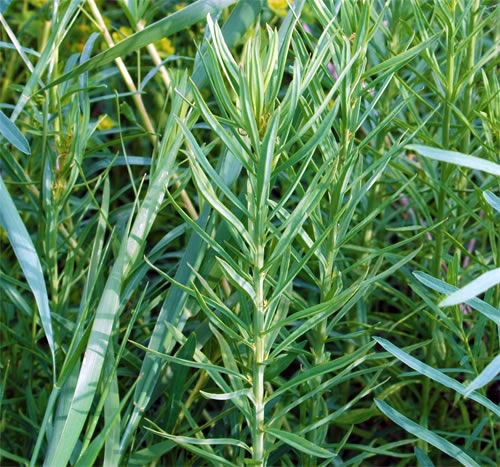 Sheep and goats will readily graze leafy spurge and are not affected by the toxic juices in the stems.